This intensive is designed for those who have completed Beginning Voice over, or have a voice over demo and previous studio experience. You will receive intensive training, nurturing your talents and guiding you toward the next step in creating content for marketing your voice over brand. 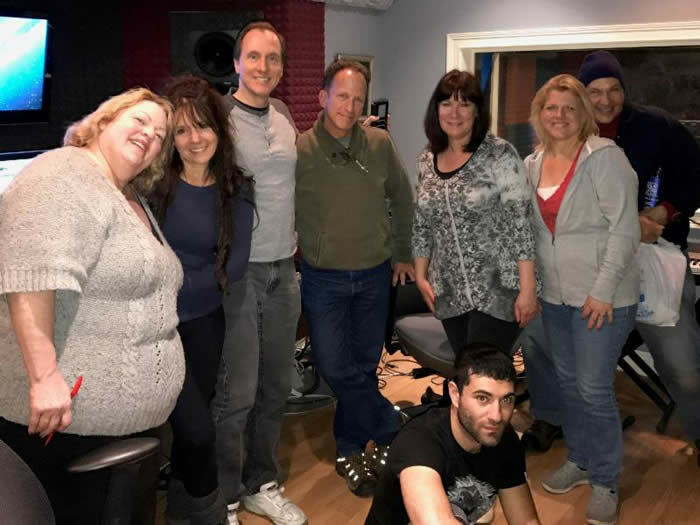 Students will explore techniques for microphone technique, breaking down copy, the ins and outs of a recording studio and what clients are actually looking for in a voice over casting. By the end of the workshop, students will have real experience in a professional studio and be prepared take the next step in the training program. This is the foundational “how to” of improvisation. Our instructors will coach you through the games and exercises that will get you thinking and reacting spontaneously, developing in “on-the-spot” improv, expressing your creativity, growing your self-esteem...plus you’ll have a ton of fun! Discover the dimensions of Characters inside yourself. Exploration of goofy, theatrical, believable and “real world” character types is emphasized helping you overcome "the fear factor" and propelling your confidence to the next plane of performance improv and life skills! This advanced level focuses on scene work, transitions in scenes, hosting games . 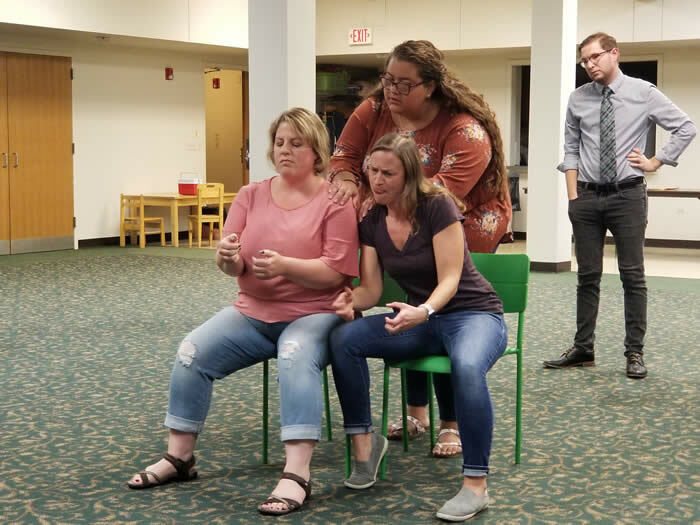 Moving past the gimmicks of game-based improv, Advanced Improv will challenge you to create memorable scenes and skillful shows and will introduce "finding the game" within your scenes. This class can't wait to move on to the next level of training at IP! Character development and scene progression – Now that you understand the improv fundamentals, this level will give you time to practice and develop your skills in longer scenes while being introduced to scenic montages and longer form improv formats. This is not a long-form class...this class builds upon skills moving toward and introduction of performance styles. These three peeps (of an 8 person class) eventually formed an IP Main Stage Team named the T-Funts. Long story, but they still frequently reuinite to perform at IP. The best way to get better at improv is to be in a group.105 and 106 cover individual performer strengths & weaknesses. Focusing on consistent improvement you will develop scene ideas, using improv to explore and refine the truth and comedy. You will explore different forms that fit your group’s style in weekly rehearsals to get performance ready. Learn existing forms like: LaRonde, The Harold,, Narrative,etc. Get on stage and perform as much as possible. A hybrid show that culminates with an improv comedy revue. This rehearsal level training will focus on producing and performing a show integrating all of the forms engaged throughout the training process. You might want to audition for our House Team after this class...or just join in on the fun every Saturday night and support the Theater. Hey...ya wanna learn how to be funny? Already the class clown at work or around the dinner table? Ok...so check out your chops and learn the formulas that make funny peeps into stand-up comedians. 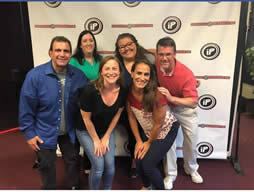 Improv Playhouse staff are seasoned, professional stand-up superstar instructors who will guide you through the stages of comedy development, get you over the hump and onto the stages of open mike nights and world class comedy venues. AND people. The other staff I've met were equally knowledgable giving us great feedback, building us all up as a team of comics all with our own unique identity, material development and giving us a TON of useful info through lecture, hands-on and exercises. Very encouraging program that got me to the next level..."
Week 1 - GENERAL COMEDY OVERVIEW: The big picture and where you fit in, realistic goals, putting together your personal plan of attack. Week 2 - JOKE WRITING FUNDAMENTALS: A nuts and bolts approach to creating funny material that works for you, writing exercises, insider's secrets. How to write, rewrite, edit and organize your jokes into an order that packs the most punch lines. Week 5 - SHOWCASING, NETWORKING and FOLLOW UP: open mics, the importance of being ready for showcasing, showcasing details and tips, networking with comedians, bookers, club owners, Facebook!, Email, call clubs. Following up with comedians, bookers, and club owners. Week 6 - SHOWCASE: Yes...you want to perform doncha?! You'll put up what you've created on stage for family and friends. Loads of fun and an incredible experience that will build your confidence and keep you salivating for more! Week 2 - ADVANCED JOKE WRITING - MORE OF THE INSIDE SECRETS OF JOKE WRITING: How to write, rewrite, edit and organize your jokes into an order that packs the most punch lines. Week 3 - ADVANCED PERFORMING - MORE INSIDE SECRETS OF PROFESSIONALS: Everything on stage, from overcoming stage fright to dealing with hecklers and everything in between. Week 4 - YOUR TOTAL PACKAGE: A personal review of your progress on stage and off from your act to your business skills. 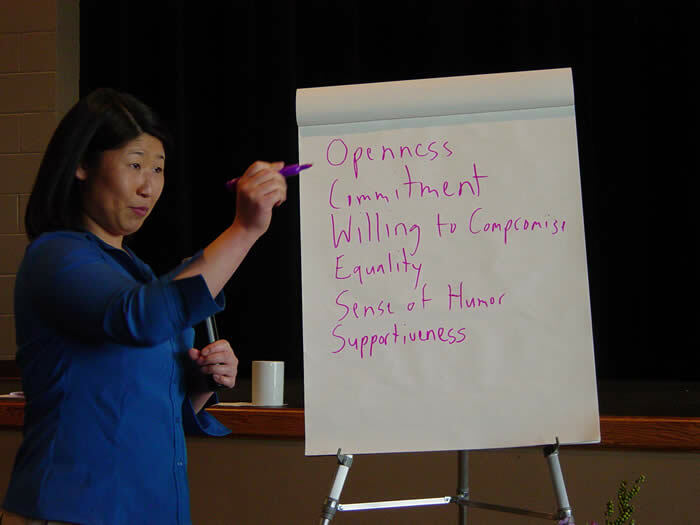 Week 5 - REHEARSING YOUR TOTAL PACKAGE: Improv Playhouse Stand-Up students will rehearse new material. Either this week or the week prior, they will have been an opportunity to experience an "open mike" night at a nearby venue. Learn the difference between acting for the stage and camera! Scene work includes a variety of genres, like commercials, film scripts and more! Flex your acting muscles and refine your craft on a consistent basis. Learn how to connect to your material, make big, bold choices, and test your performance abilities in a safe and encouraging environment. Working on monologues, scenes and audition sides, you will discover your strengths and weaknesses with the help of a trained eye. Be ready to fine tune your skill set. STUDENT AGREEMENT: aka "The Fine Print"
1) I understand that upon confirmation a place is being held for me in class. Therefore, should I not attend, there will be no refund. 2) I agree to pay all tuition in full and on time as required by Improv Playhouse for all classes attended. 3) Tuition is non-transferable/non-refundable. 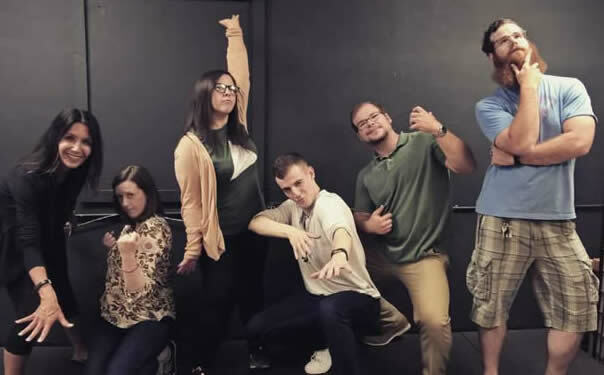 4) iP Students hereby save and hold harmless the Improv Playhouse and its instructors jointly, severally, or personally and each and every one of them from any act or acts and any and all claims or liabilities arising from participation in instructed classes and class performances inclusive of staged public performances. PRICING reflects the length of the session, number of classes and level of training. Minimum enrollment is 6 (six) students. MAKE UP POLICY: If a student misses a class there will be no make up classes due to the cohesive nature of our workshops and commitment to ensemble. Students may not come to a similar class on a different day to make up for missed classes. Classes may be cancelled due to inclement weather conditions and neither refund nor make up class will be offered. TRANSFERS may be made upon determination of skill level. Classes and levels may be consolidated and locations changed due to enrollment. We reserve the right to substitute instructors from our professional staff. on any ground and from harassment at work including sexual harassment. Impov Playhouse Theater will operate a zero tolerance policy for any form of sexual harassment in the workplace, treat all incidents seriously and promptly investigate all allegations of sexual harassment. Any person found to have sexually harassed another will face disciplinary action, up to and including dismissal from employment. All complaints of harassment will be taken seriously and treated with respect and in confidence. No one will be victimized for making such a complaint.